Great Street Art in Vancouver. I DO Enjoy Visiting Vancouver! While they may have certain anger management issues when it comes to Hockey—the citizens of Vancouver have a superb taste in the Street Art. 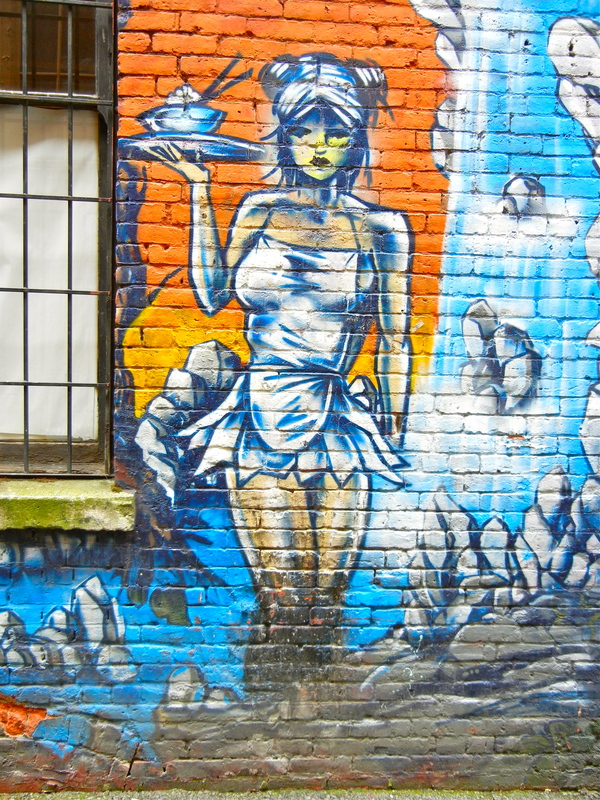 A recent trip gave me dozens more items to add to my ‘Vancouver Files’ and I wanted to share this classic Diner styled image from a back alley in Vancouver. I have done some very cool other work with this image if anyone would especially care to see them. ~ by Nick Lewin on August 5, 2011.